Meetali a graduate in Home Science from Jabalpur and a B. Ed, has worked in the field of education since 1991. She started her career with schools and finally became an education activist devoting her time to uplift the marginalised sections of society. 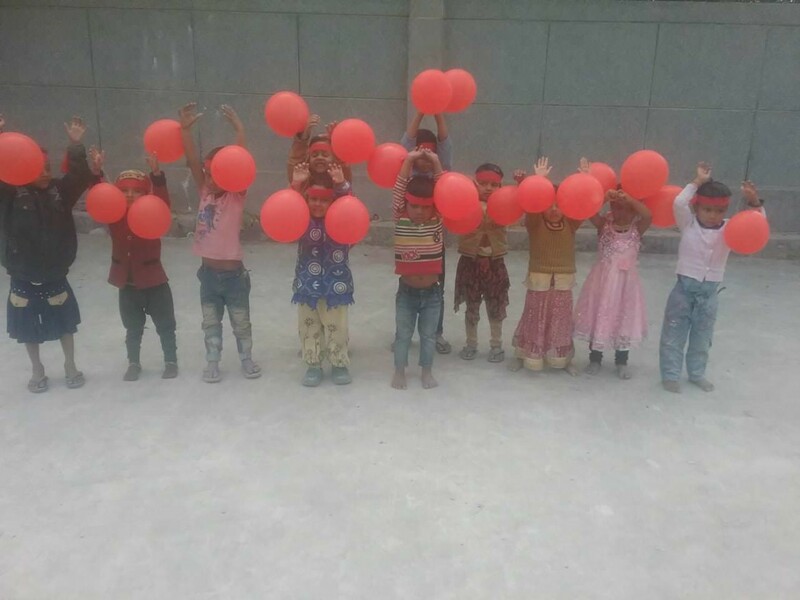 For the past two years she has been working for children of migrant construction workers in NOIDA. "I am a migrant myself who came to Delhi-NCR in search of a job way back in 1999. 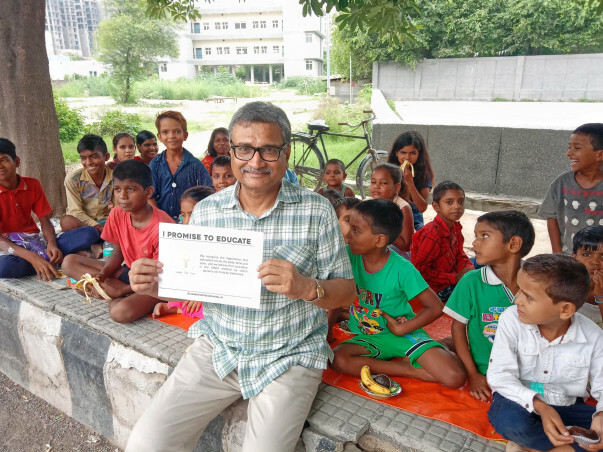 I can understand what it takes to eke out a living in NCR", says Meetali, Founder, MAS Foundation who runs Project Under The Tree to help educate children of construction workers. 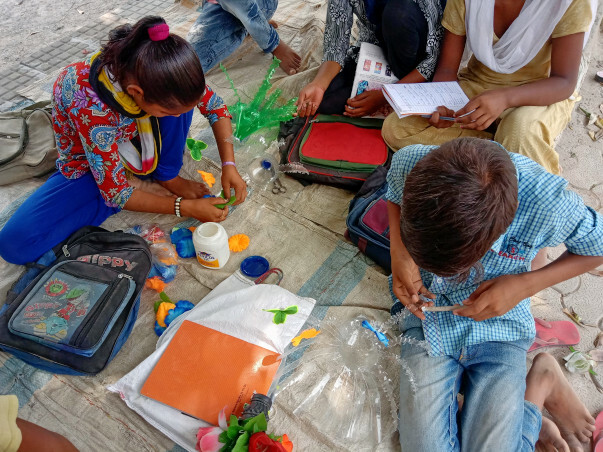 "While working for children of migrant construction workers, I realised that conventional school curriculum does not fulfill the needs of these children”, says Meetali. Thousands of migrant construction workers from all across the country come to NOIDA every year in search of livelihood. Each time they shift, they have a new society, a new world altogether. However they do not have any permanent place. What gets affected in the process is the education of the children. Can education be imparted to them in the conventional way? 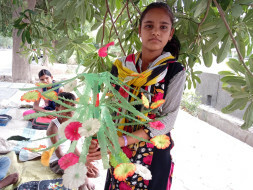 A skill training and a bit of education can bring about a mammoth change in their lives. Under The Tree is an initiative of MAS Foundation that help these children learn the basics in the most unconventional way. The learning path is decided keeping in view of individual requirement. Curriculum is flexible and tests are carried out only to keep their interest in education intact. More than anything else psychological and emotional support is required. The utmost important aspect in this journey of learning is to keep alive the dreams and aspirations in the tiny eyes. Over 150 children have been given basic education under the project so far. "All educational expenses have been met through by my personal fund and help from local community occasionally. The number of children has gone up now. 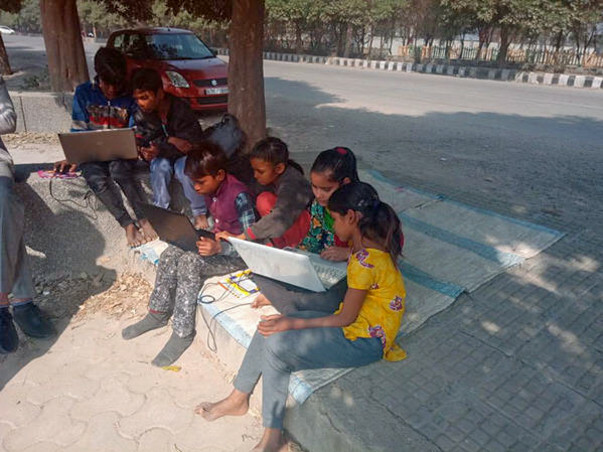 It requires a little more from all of us", observes Meetali who wants to establish three more such informal schools near construction sites in NOIDA. She has plans for establishing a mobile library for these children and a portable game kit as well. Informal schools are set up near construction sites or near the huts of migrant labours. No banner or publicity is used. The teacher ensures one to one contact with family members of the prospective students. Once the child comes to school, peer learning method is used. 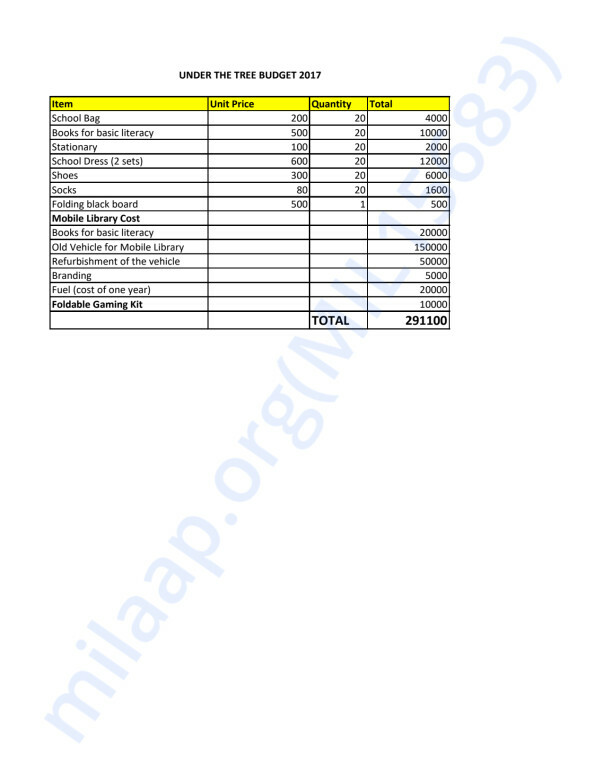 Guidance and support in terms of stationary, books, notebooks, etc are provided. Healthy habits like cleanliness, no to tobacco, etc are inculcated gradually. Fundamentals of readings and writing are introduced. Practical examples from their surroundings are cited throughout the one-hour class in order to motivate them. Once the children become familiar with fundamental concepts, they are encouraged to join Government schools of the area. Over 110 students have been given elementary knowledge of reading, writing and simple calculations for everyday use successfully. Over thirty per cent of such students enrolled themselves in Government schools of the locality. The informal schools have been run at two places so far. The project has been run on self-funding primarily. Some need-based voluntary support in terms of stationary and notebooks have also come. Funding is sought for 20 students in the first phase. In later phases, funding would be required for additional batches of 20. After donation, you will be getting regular progress reports of the students and personal "Thank You" cards from students. You will get invites to watch these children perform on special occasions. Please visit us at underthetree.sddigital.in for more details. Under The Tree conducted many activities in the past few weeks. This year Children prepared well for Diwali Mela. 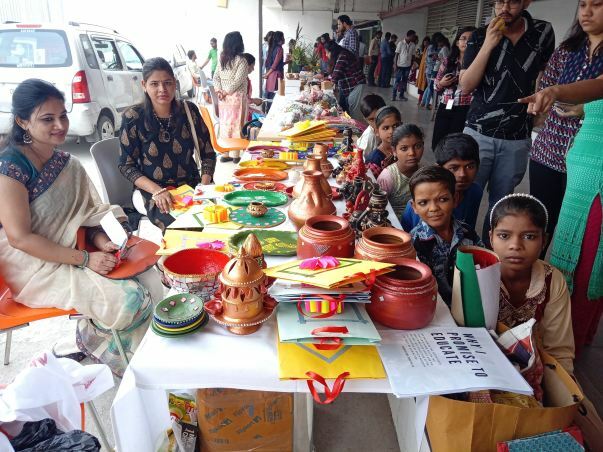 Handicraft items and colored potteries and other gifts items were prepared. 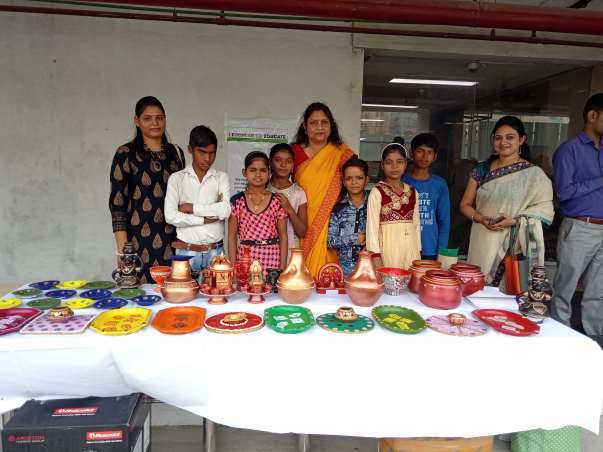 Children participated in the Diwali Mela organized by Birlasoft. 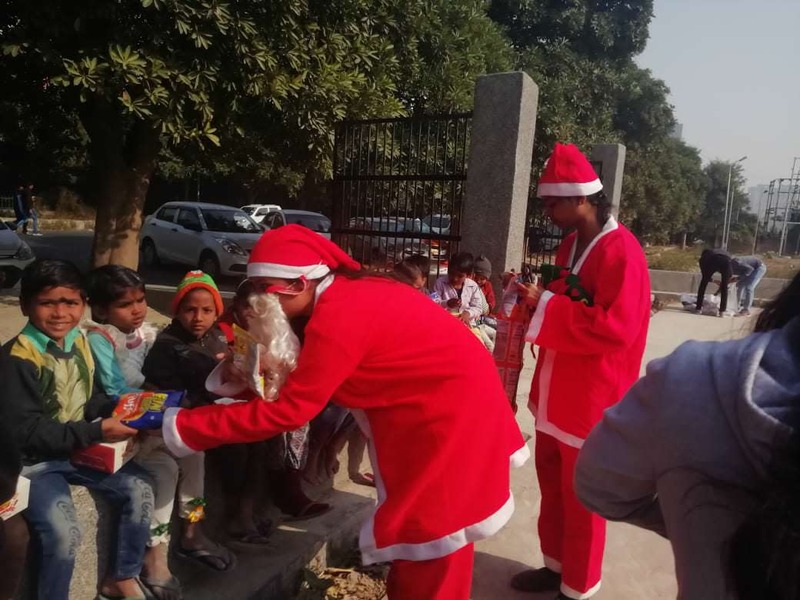 Under The Tree celebrated Children's Day with sweets and food distribution. A discussion on the importance of Children's Day was organized on the occasion. Each day of the week was themed for a particular color. 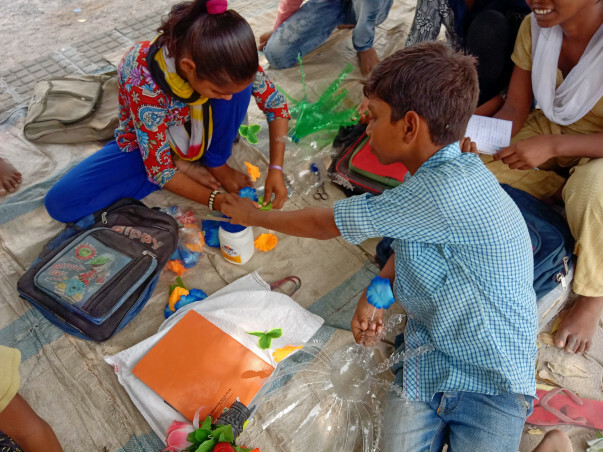 So Monday was for Red, Tuesday was for Green, Wednesday for Blue...Children were engaged in activities like poster making, color identification games, etc as per the theme of the day. 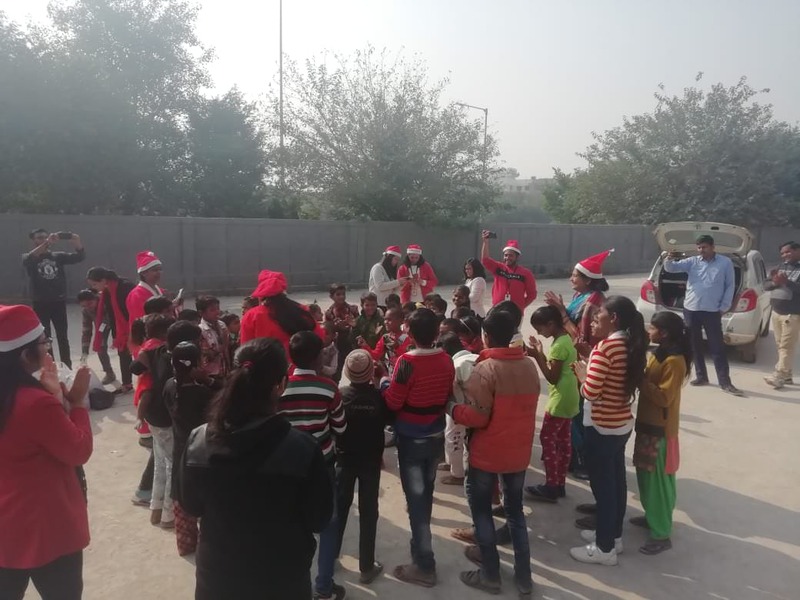 Christmas was celebrated with songs, dance, food and games. Volunteers from Birlasoft brought in a lot of old clothes and food for distribution. Taxiwallahs from nearby parking stationed their vehicle near the playground and played music on their car music systems. Children played Kho Kho and other games. At the end, food and clothes were distributed. 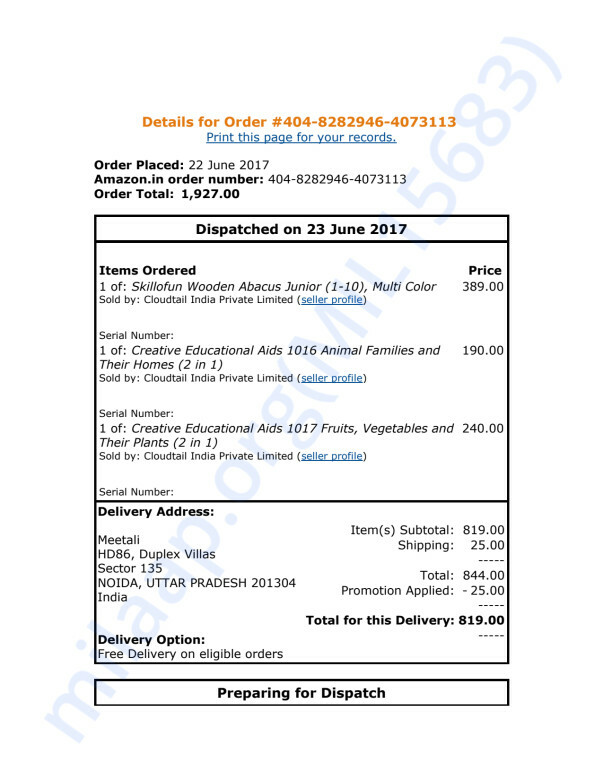 Under The Tree has been planning stakeholders meet on Models of informal education and the challenges in India in a couple of months. We would like to develop a sustainable model of education that addresses the needs of the children of migrant workers. Will keep you posted of the developments at Under The Tree. We once again thank you for your continuous support and patronage. With your kind patronage Under The Tree has been running well. We now have an average 40 students on daily basis. The students are divided into two classes. Two trained teachers have joined voluntarily to teach at Under The Tree. Importantly, there has been a positive impact in the area. 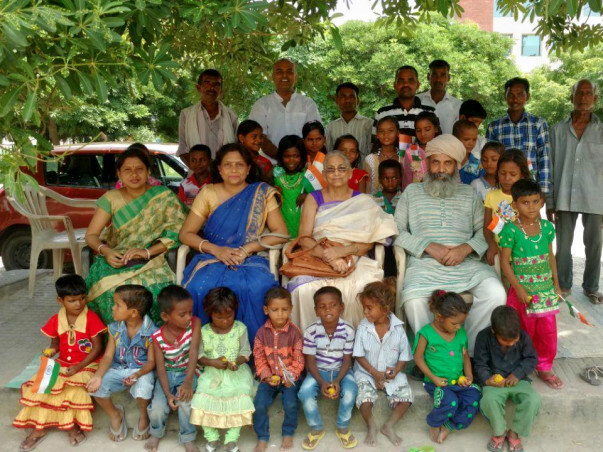 We have been successful in inspiring some other volunteers to help educate underprivileged children. 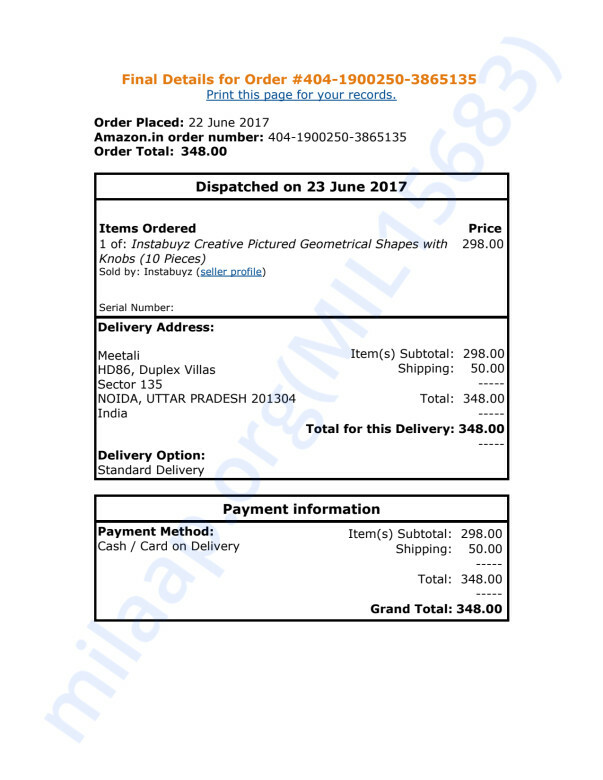 This was not possible without your active support. 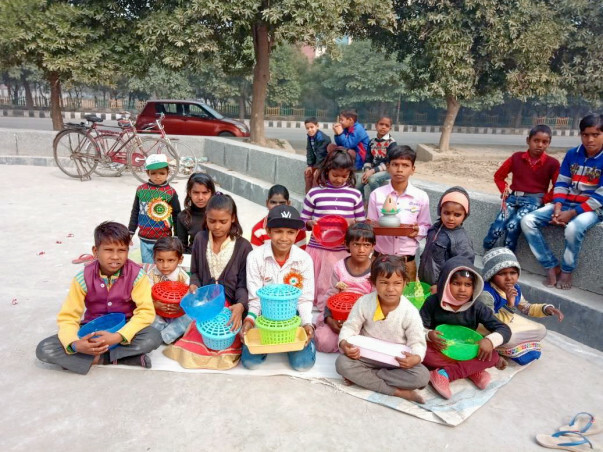 Thank you once again for driving a positive change to help educate children in NOIDA, India. Under The Tree celebrated Independence Day. The event started with National Anthem. 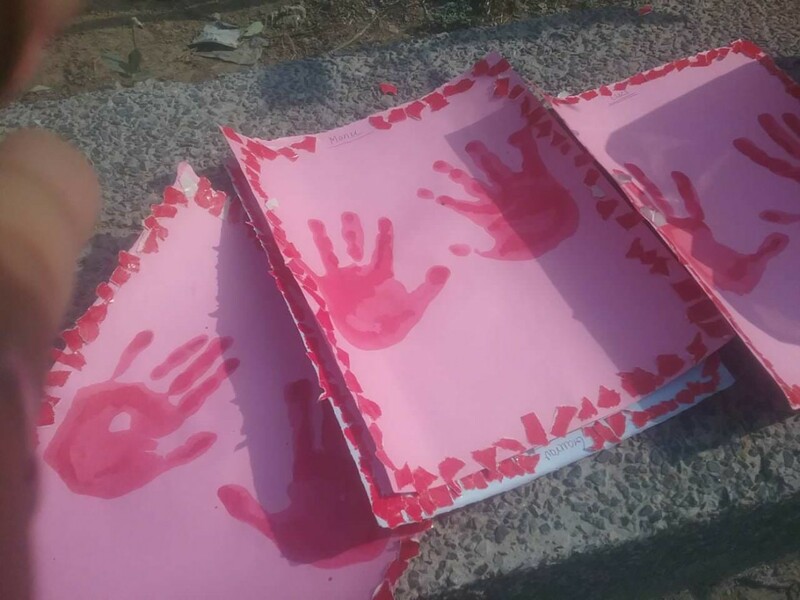 Also, the children took a pledge to continue education. A quiz competition on the theme Independence Day and India's Freedom Struggle was organized on the occasion. The team of Amit and Jogeshwari won the competition. Children also participated in poem recitation competition. 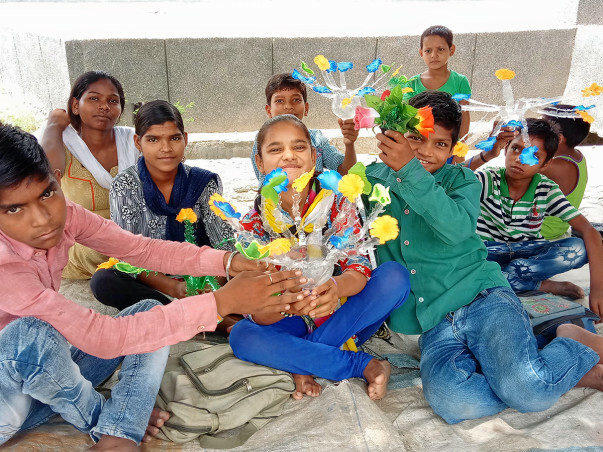 Three winners were declared: Jogeshwari won the first prize while Nazma and Vikas were declared joint winners for the second prize. A group of nursery children also recited poems. In the Lemon and Spoon race that followed, Kailash came first while Jogeshwari came second. A Frog Jump race was also organized where Rehnuma won the First prize and Rajkumari came a close second. Patron Advocate Shanto Mukerjee and his wife Ms Sumita Mukerjee along with a host of other guests attended. Another highlight of the week was that one of the UTT students Jogeshwari joined the government school in Class VIth after she cleared the interview in first attempt. Kudos to her. 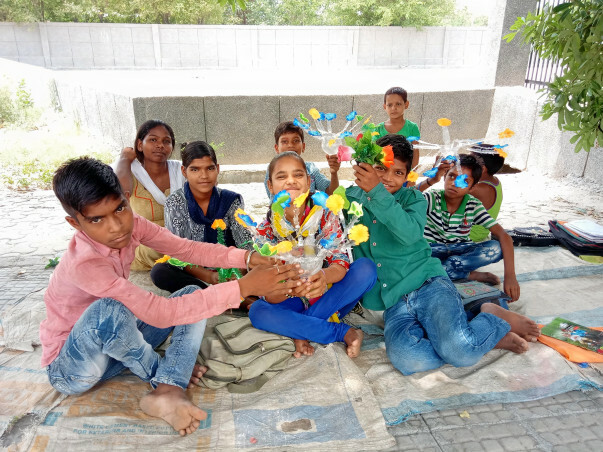 We would also like to share with you that today's daily Hindustan featured the Under The Tree and appreciated the efforts. 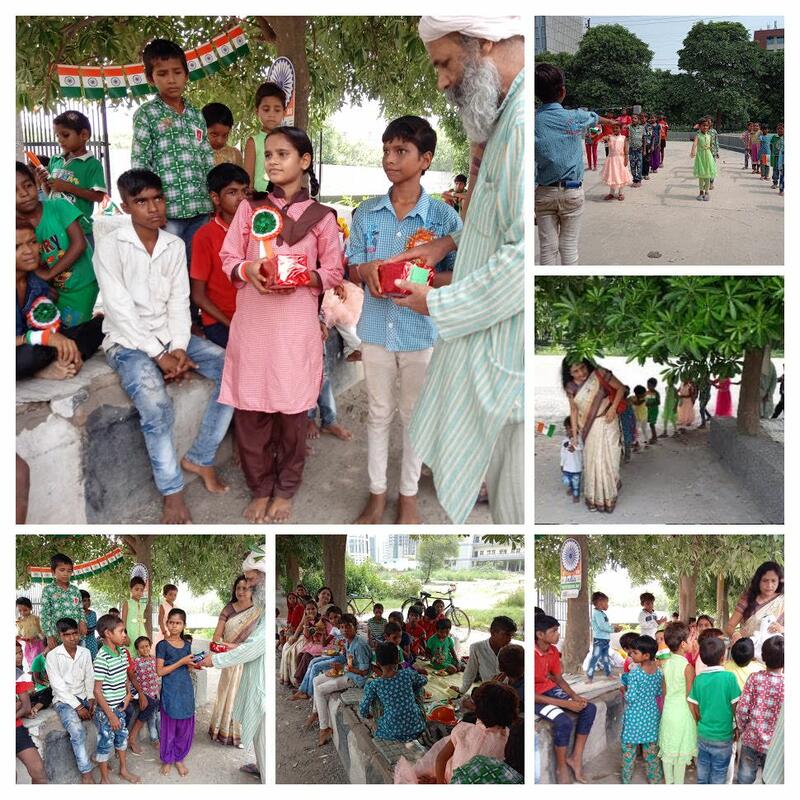 Sharing with you some of the pics of the Independence Day celebrations. Thanks for your continuous support and patronage.